I love fresh fruit and am so thankful that God created such delicious (and super-healthy) foods for us to enjoy! 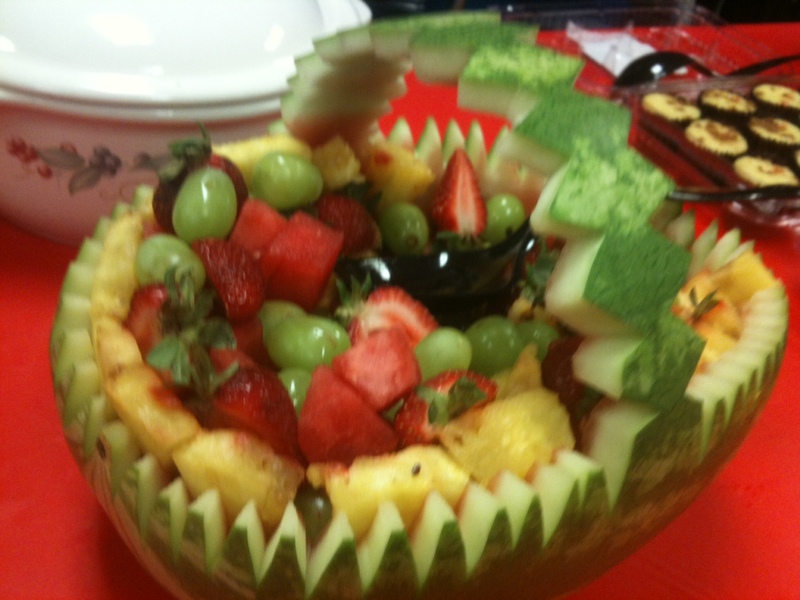 The picture shows a fun way to serve a fresh fruit salad. The fruit above was at a teacher’s meeting at the very beginning of the school year, but wouldn’t this be cute at a baby shower or a wedding shower. It would look nice to have at a wedding reception. I personally think fruit is great at any occasion. I know so many people who love fresh fruit.